Situated 190 kilometers south of Bangkok, Hua Hin along with Pattaya it is the closest stretch of coast to Bangkok and is subsequently a popular weekend destination. Approximately 30 kilometers south of Hua Hin is Pranburi, home to remote boutique resorts. 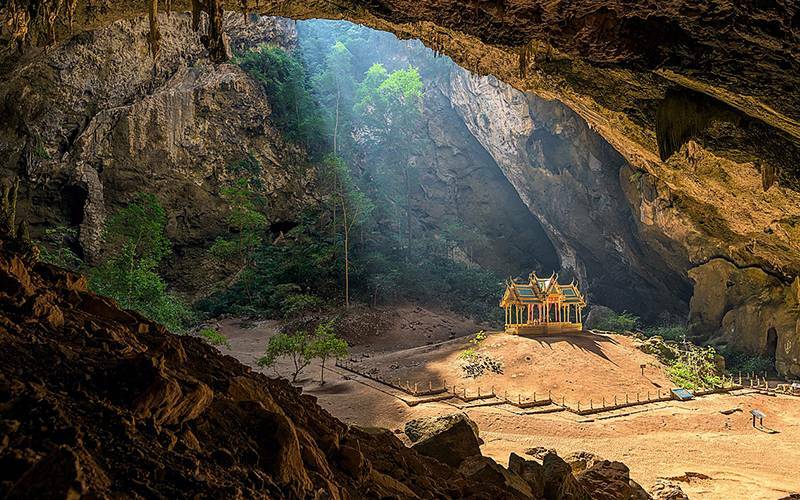 41 kilometers south is Cha-Am, and just 10 kilometres from central Hua Hin is Koh Takiab the newest up-and-coming destination in the area. Due to its geographical position, Hua Hin generally experiences less rainfall than more southerly positioned islands in the Gulf of Thailand. Between October and November is when you are most likely to be faced with showers and although Hua Hin is perfect for a holiday all year round, it is between January and September that you will discover the best weather. By Bus: take Skytrain to Victory Monument where you should exit at the Century Cinema on Soi Ragnam (walk away from the walkway encircling Victory Monument) and the bus stop is literally at the end of the stairway. Tickets to Hua Hin and Cha-Am should cost 180 baht, one way, with the journey lasting roughly two hours. Taxis: from Bangkok should cost no more than 2000 baht plus highway charges. Tipping is the customer's prerogative. By Train: Catching the train you'll have the opportunity to disembark at the historic Hua Hin Train Station. The train costs around 100 baht and takes four hours. 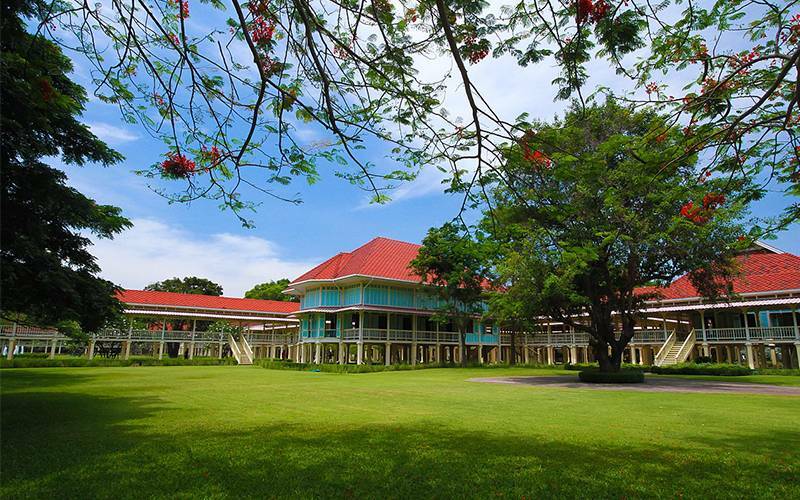 Maruekhathaiyawan Palace - located midway between Cha-Am and Hua Hin, the palace was built during the reign of King Rama VI from prime golden teak and is interlinked by covered boardwalks. 4. Koh Takiab - a mountain peak, home to many monkeys and an elevated temple that reveals a spectacular panorama of the bay below. Khao Sam Roi Yod - The first established coastal Thai National Park within the area, - which can be translated into 'The Mountain with 300 Peaks' and this alone is worth visiting Hua Hin for. 1. Kitesurfing - Shallow waters permit great conditions to both learn and practice the sport. 2. Kayaking - A great way to discover this long stretch of coast is by Kayak. Elephant camps and trekking -Thailand's premier recreational pastime can be found just west of town. Check out our tours for more information. 3. Golf - there are seven world-class courses all within 30 minutes' reach from central Hua Hin. 4. Spa -Hua Hin has an abundance of Spa and Massage parlours that go right through from five-star wellness resorts to al fresco beach massage ADD TO TRIP! Choosing a hotel in a new place is always a difficult task. Booking the right hotel can make a significant difference to your holiday. There's still going to be plenty of restaurants, shops, and nightlife nearby. Hua Hin town is also right on the coast, so you can easily walk to the beach – or get a taxi if you're feeling lazy. The resort features 119 rooms, three beachfront villas with private plunge pools and a range of suites. Golfers will want to play around at one of the area's spectacular courses, including The Royal Hua Hin Golf Course, Thailand's first championship course, etc. Marrakesh Hua Hin Resort & Spa is a stylish boutique hotel complex that houses 76 rooms all decked out in a neo-Moroccan style. All rooms feature large private balconies; bright scatter cushions to add a little color, work desk, flat screen television, safety deposit box and high-speed internet access available throughout. On a pristine beach of Thailand's best-loved historical resort town is a luxury resort reminiscing Hua Hin rustic charms. Devasom Hua Hin Resort offers a unique beachfront relaxing retreat. Back in the days, Thailand was known as Siam, Hua Hin was the most famous retreat town of the peninsula, a place of relaxation for the nobles and commoners. 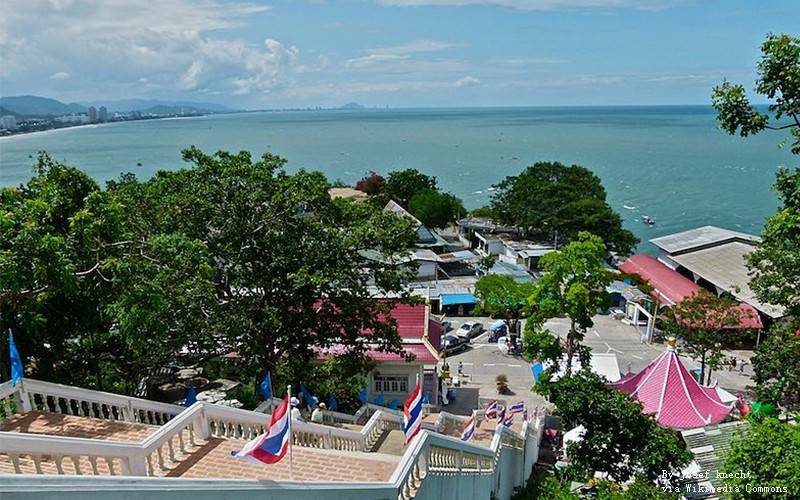 One of the attractions of Hua Hin lies in the fact that the town itself is not all that big. Because of this, shopping and food venues tend to be located nearby of one another allowing visitors a chance to explore this part of the city on foot if they choose to do so. You will find the night market to be a particularly popular shopping destination in Hua Hin. It is here that you will see many different types of Asian souvenirs to add to your collection back home. There are plenty of items for sale, usually at prices that are much cheaper than you would find in the West. If you like art, mainly paintings of tropical landscapes, this is the place to find them. You will find no shortage of eating options in Hua Hin as well. As opposed to trying to find your comfort foods, view this as an opportunity to explore Thai cuisine and its rich flavor. If you like it spicy, however, do not be afraid to let them know. Speaking of where to eat, the opportunities are endless. You will find local street side stalls to be quite tasty and inexpensive. If you have a special occasion to celebrate, you will find gourmet seafood restaurants located steps away from the beach.